The Future Circular Collider will ramp up its energy over 15 years, and be able to produce millions of Higgs bosons for precision studies. The world’s largest particle physics laboratory has unveiled its design options for the Large Hadron Collider’s successor – what is expected to be a 100-km long next generation ‘supercollider’. 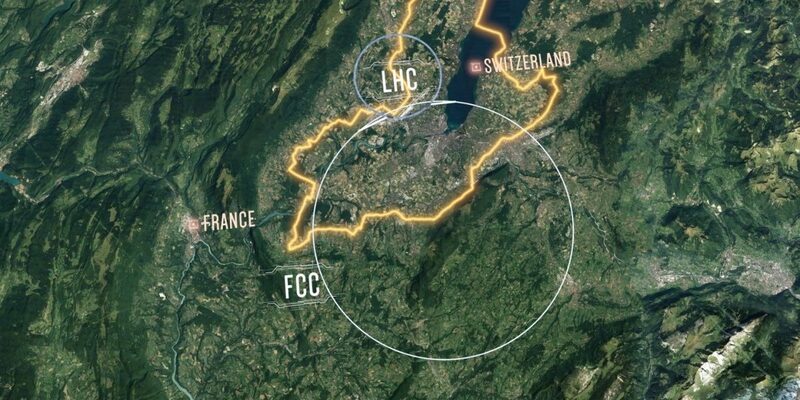 The European Organisation for Nuclear Research (CERN) submitted the conceptual design report for what it is calling the Future Circular Collider (FCC). The FCC is expected to be able to smash particles together at even higher intensities and push the boundaries of the study of elementary particles. CERN expects it can come online by 2040, when the Large Hadron Collider’s (LHC’s) final run will come to a close. The LHC switched on in 2008. Its first primary goal was to look for the Higgs boson, a fundamental particle that gives all other fundamental particles their masses. The LHC found it four years. After that, physicists expected it would be able to find other particles they’ve been looking for to make sense of the universe. The LHC has not. This forced physicists to confront alternative possibilities about where and how they could find these other hypothetical particles, or even if they existed. The FCC is expected to help by enabling a deeper and more precise examination of the world of particles. It will also help study the Higgs boson in much greater detail than the LHC allows, in the process understand its underlying theory better. The CERN report on what the FCC could look like comes at an interesting time – when two supercollider designs are being considered in Asia. In November 2018, China unveiled plans for its Circular Electron Positron Collider (CEPC), a particle accelerator seven-times wider than the LHC. The FCC, CEPC and the LHC are all circular machines – whereas the other design is slightly different. Also in November, Japan said it would announce the final decision on its support for the International Linear Collider (ILC) in a month. As the name suggests, the ILC’s acceleration tunnel is a straight tube 30-50 km long, and parallels CERN’s own idea for a similar machine. But in December, a council of scientists wrote to Japan’s science minister saying they opposed the ILC because of a lack of clarity on how Japan would share its costs with other participating nations. They are all focused on studying the Higgs boson more thoroughly as well. This is because the energy field that the particle represents, called the Higgs field, pervades the entire universe and interacts with almost all fundamental particles. However, these attributes give rise to properties that are incompatible with the universe’s behaviour at the largest scales. Scientists believe that studying the Higgs boson closely could unravel these tensions and maybe expose some ‘new physics’. This means generating collisions to produce millions of Higgs bosons – a feat that the LHC wasn’t designed for. So the newer accelerators. The FCC, the CEPC and the ILC all accelerate and collide electrons and positrons, whereas the LHC does the same with protons. Because electrons and positrons are fundamental particles, their collisions are much cleaner. When composite particles like protons are smashed together, the collision energy is much higher but there’s too much background noise that interferes with observations. These differences lend themselves to different abilities. 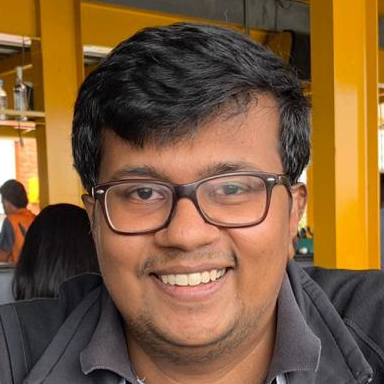 According to Sudhir Raniwala, a physicist at the University of Rajasthan, the CEPC will be able to “search for rare processes and make precision measurements”. The FCC will be able to that as well as explore signs of ‘new physics’ at higher collision energies. According to CERN’s conceptual design report, the FCC will have four phases over 15 years. I – For the first four years, it will operate with a centre-of-mass collision energy of 90 GeV (i.e. the total energy carried by two particles colliding head-on) and produce 10 trillion Z bosons. II – For the next two years, it will operate at 160 GeV and produce 100 million W bosons. III – For three years, the FCC will run at 240 GeV and produce a million Higgs bosons. After this, the report states that the FCC tunnel could be repurposed to smash protons together the way the LHC does but at higher energy. And after that also smash protons against electrons to better probe protons themselves. [Its] highest centre-of-mass collision energy will be 240 GeV. At this energy, the CEPC will function as a Higgs factory, producing about 1 million Higgs bosons. At a collision energy of 160 GeV, it will produce 15 million W bosons and at 91 GeV, over one trillion Z bosons. However, all these projects have been envisaged as international efforts, with funds, people and technology coming from multiple national governments. In this scenario, it’s unclear how many of them will be interested in participating in two projects with similar goals. Benedikt did not respond to a request for comment. But Wang Yifang, director of the institute leading the CEPC, told The Wire that “the world may not be able to accommodate two circular colliders”. Moreover, “different people have different interests” among the FCC’s and CEPC’s abilities, Raniwala said, “so there is no easy answer to where should India invest or participate.” India is currently an associate member at CERN and has no plans for a high-energy accelerator of its own. To the FCC’s credit, it goes up to a higher energy, is backed by a lab experienced in operating large colliders and already has a working international collaboration. Additionally, many Chinese physicists working in the country and abroad have reservations about China’s ability to pull it off. They’re led in their criticism by Chen-Ning Yang, a Nobel laureate. But in the CEPC’s defence, the cost Yang is opposed to – a sum of $20 billion – is for the CEPC as well as its upgrade. The CEPC’s construction will also begin sooner, in around 2022, and it’s possible China will be looking for the first-mover advantage.